Starting a submission is a good way to make sure that your project meets the requirements. There’s nothing worse than getting to the deadline, only to realize that you’re missing a key component. Remember: once you submit a project, you can keep editing it as needed at any time prior to the submission deadline. Need a primer on how the submission form works? Head over to our submission form tutorial. Don’t forget that your submission must include a video demonstrating your Extension for this competition. Check out our video-making tips here. As always, we strongly recommend that you don’t wait to the last minute.  Main Requirement: Build or update a functioning Microsoft Graph-powered solution that leverages the Microsoft Graph Security API. Your solution must use the Microsoft Graph security/alerts or security/securescore entities. Submit a demo video (hosted on YouTube, Vimeo). Your video should include a demo of your working application via a step-by-step visual demo. Provide a way to access your working application for judging and testing. IMPORTANT NOTE: Those solutions that incorporate use of other Graph services (users, groups, mail, messages, etc.) in addition to the security entities will get extra credit in judging!